Police are searching for two victims who were robbed by a couple of men on a moped in the town centre. Officers said a man and a woman were robbed by two thieves while they were standing next to a cash machine in London Road, East Grinstead on Monday June 18. The robbery took place at about 11.30pm and the crooks fled the scene on a moped. One was described as a white male, mid-20s, with short black hair and wearing a grey hooded top. He was holding, what was believed to be, a knife. The second man was described as mid-20s and wearing a black hooded top with the hood up. Detective Constable Kirstie Neal said: “We are appealing for the victims of this distressing crime to come forward so we can provide them with support. “One of the victims is described as a white man wearing grey jeans, a dark hooded top, white shoes and a black cap. “The second was described as a white woman, with blonde hair and wearing dark clothing with white shoes. “If you were one of these victims please come forward to us. 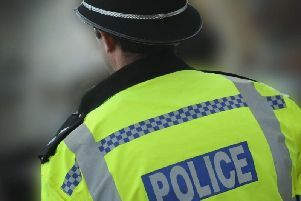 Police said a 16-year-old boy and a 15-year-old-boy, both from East Grinstead, were arrested on suspicion of attempted robbery and released under investigation. A 22-year-old man, from East Grinstead, was arrested on suspicion of attempted robbery, driving without insurance, driving without a licence and riding a motorcycle without a helmet. He was released under investigation. Anyone with any information is asked to call 101 quoting reference 1584 of 18/06.